Thank you for visiting us! Eldora has made silent changes to their policies. There are no laws in Colorado to stop ski resorts from putting small children on chairlifts alone without safety bars. Please see our updated petition to address this issue. We are a group of passionate parents and caretakers who value outdoor adventure. We want our children to develop a love for skiing. We understand that there is inherent risk in skiing. We also understand that Eldora’s current lift policy and day-to-day practices place our children at unreasonable and unnecessary risk. We represent parents and caretakers who currently have their children in Eldora ski school, have previously had their children in Eldora ski school, or would like to have their children in Eldora ski school if the ski lift policy were changed to ensure the safety of our children. A six-year-old girl was hospitalized after falling from the Sundance ski lift on Eldora Mountain Resort on Sunday, February 24, 2019. 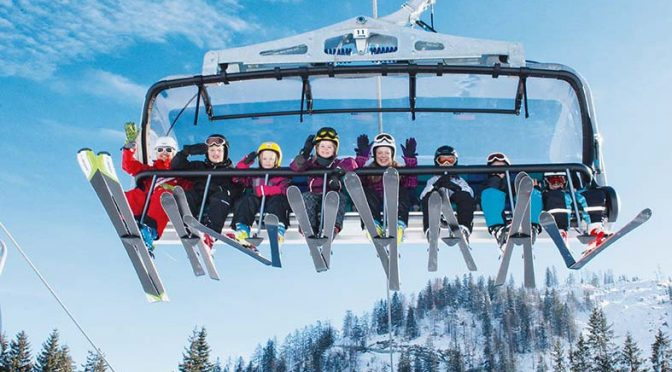 At the time of the fall, the girl was participating in an official ski school lesson, was unaccompanied by an adult on the lift, and was riding a lift without a safety bar. Eyewitnesses reported that they were screaming at the lift conductor to stop the lift as they saw that the child had not been loaded properly. Had the lift been stopped, her fall would have been far shorter. We understand that currently children ages 6 and under regularly ride lifts unaccompanied by an adult with no safety bar during Eldora ski school lessons. We would like Eldora to update their lift policy to be aligned with leading Colorado ski areas, and commit to enforcing the updated policy. 1) The current policy states: “When riding a lift all students aged 6 and under and less than 48” tall must be accompanied by an adult when available.” We would like this to be changed to: “When riding a lift all students aged 6 and under and less than 48” tall must be accompanied by an adult.” While we understand that this may slow down the pace of lessons, we believe that safety is the first priority for young children. 2) We ask that Eldora commit to enforcing the updated policy, and immediately train all of its ski school instructors in how to do so. 3) We ask that if a responsible adult is not present, parents have the option to ride the lift with their child for no additional lift ticket fee. If the ski school is not able to keep our children safe, we would like the opportunity to do so. 5) We ask that all chairlift operators are fully trained in how to safely load and unload children. 6) We ask that Eldora management commit to an ongoing relationship with Parents for a Safe Eldora to continue communication on keeping our children safe. 1) Install safety bars on all lifts. 2) Revise Eldora policies after conducting a full review of best practices (from other ski resorts) in ski school and lift safety. 3) Re-train all lift operators in best practices for safely loading and unloading children. We have had previously positive experiences at Eldora and love having a family-oriented ski mountain so close to home. Our goal is simply to see Eldora adopt effective procedures and practices to keep our children safe.